The world is full of information and it's waiting to be discovered or re-discovered. Libraries, museums, galleries - you name it. There are so many places where references of absinthe can be found - deliberate or not. 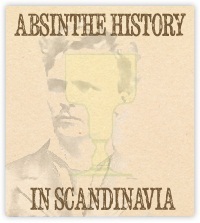 In my research on absinthe I go to several places to find information. Sometimes I find what I'm looking for, sometimes not. Either way it's practically always something new learned from where ever it may be. This is where I have collected some of those travels. Every year by the end of Septemer or beginning of October the Absinthiades take place in the town of Pontarlier, Jura, France. Pontarlier - being the birthplace of French absinthe and historically home of the most famous and successful absinthe distilleries it is of course the ideal place. Today, Pontarlier is the home to two absinthe distilleries wtih history dating back to the Belle Epoque. The annual Absinthiades host a wonderful antiques market, the degustation to crown the best absinthes of the year and much more.